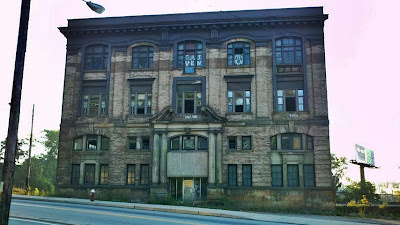 Abandoned buildings are endangered buildings. 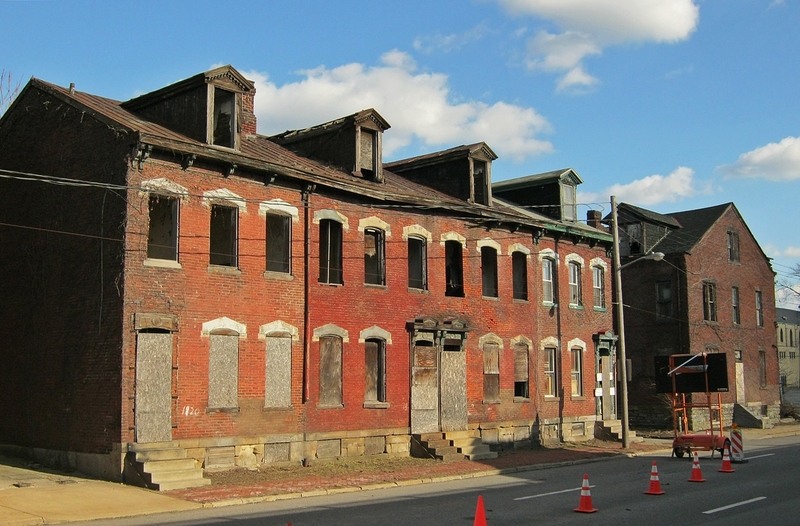 Many significant buildings in the city are "demolished by neglect," meaning their owners fail to maintain them, or market the buildings to new owners who will, until it is too late. 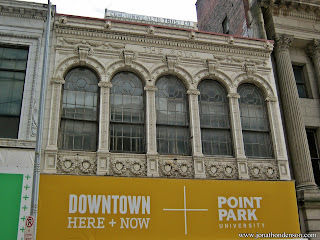 Not all endangered buildings are abandoned, however. 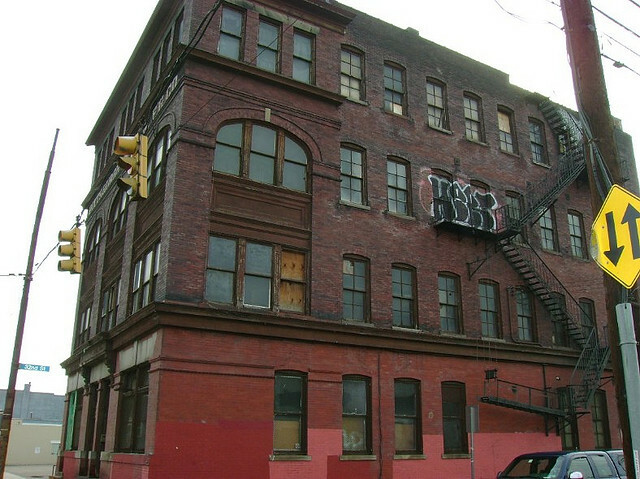 Many buildings are in danger of being demolished simply because they are old. Historic buildings are sometimes seen as barriers to progress by people who wish to see them destroyed for new development. The lure of "out with the old, in with the new" is alive and well in this disposable age we live in. 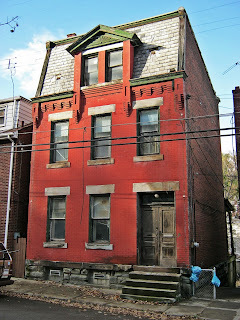 I will continue to share pictures of newly discovered abandoned and endangered buildings in the Pittsburgh area. I will also try to research and share the building's story, and what chances the building has for surviving or being re-used in the future. Abandoned buildings should not be considered blight. They should be considered opportunities, for preservation and new development. Other cities should be so lucky to have our gorgeous existing building stock. We are only limited by our imaginations! 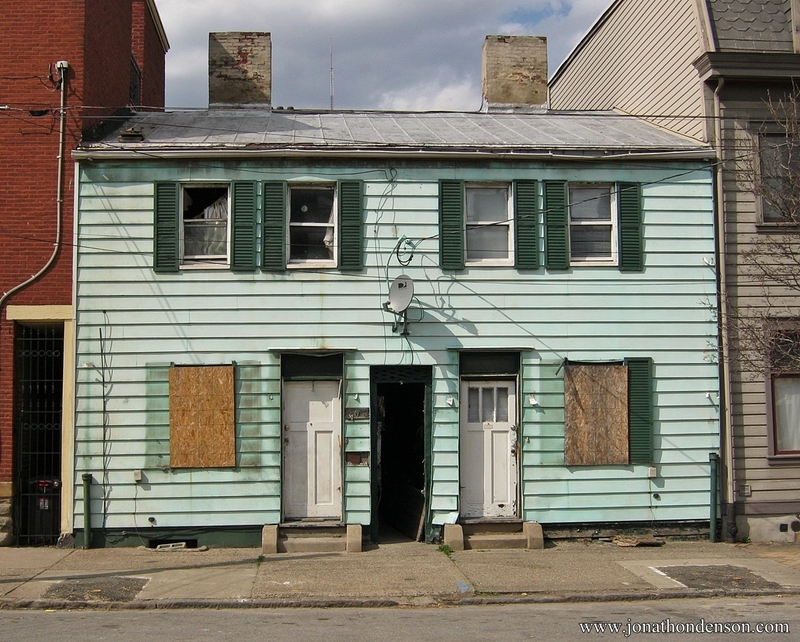 To learn how to buy an abandoned property, click here. East Liberty - 6012-6018 Penn Avenue: contributing structures to the East Liberty Commercial Historic District, on the National Register of Historic Places. 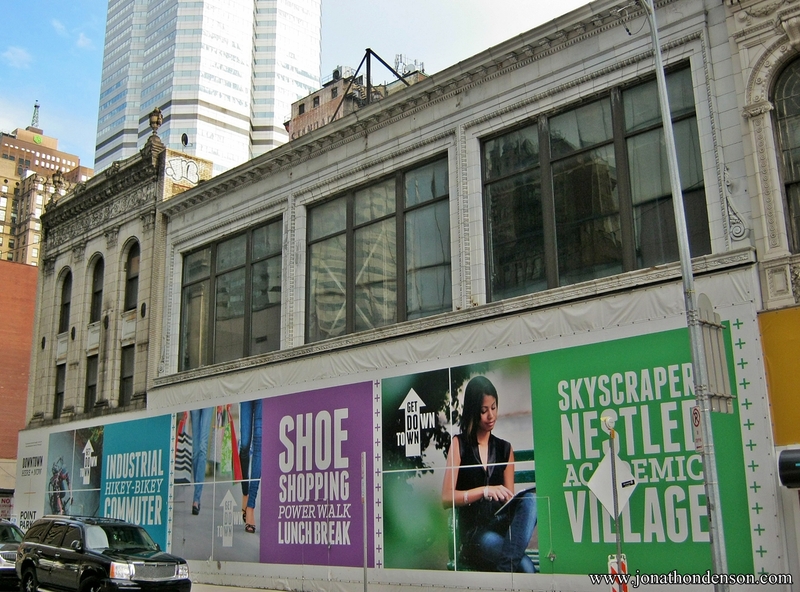 Walnut Capital intends to purchase from ELDI, and raze for new construction on the site. 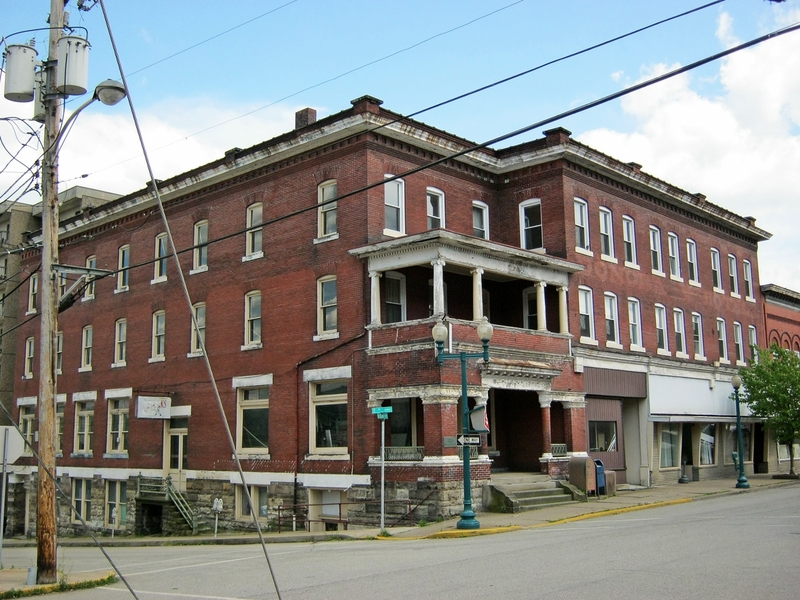 UPDATE: The center structure will be demolished, but the two adjoining facades will be preserved. 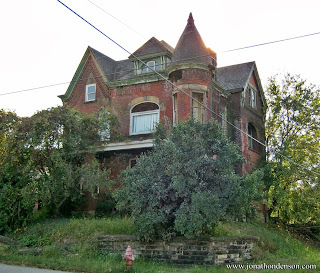 Victorian Mansion (McKeesport) -- abandoned mansion at the corner of Colfax and Park Street. 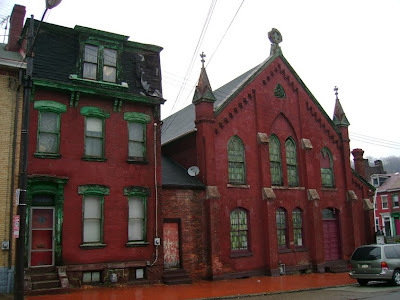 Church of God and Saints (Wheeling, WV) -- In 1837, Chopin, Berlioz, and Mendelssohn were composing music. Martin Van Buren had just replaced Andrew Jackson as President of these United States, which numbered only 26. Wheeling was still part of Virginia. The first U.S. patent for anelectric motor was obtained that year. 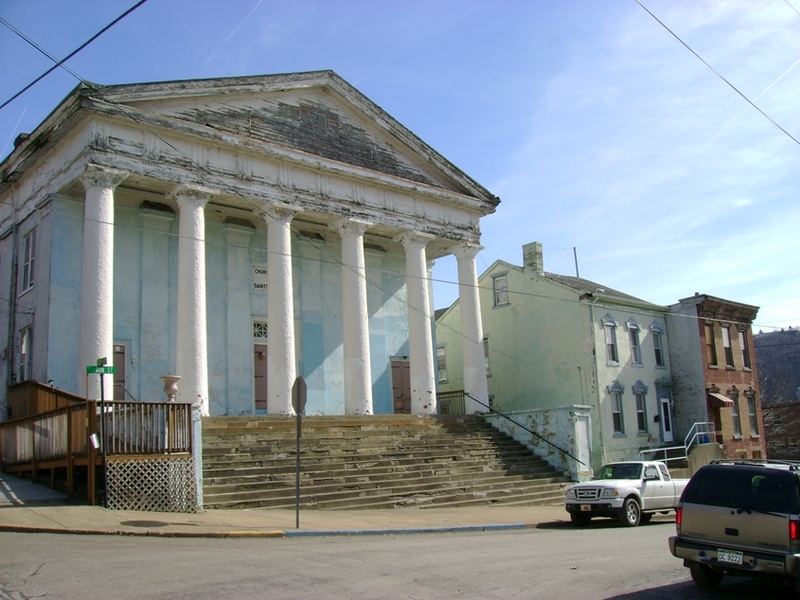 And this Greek Revival church was built in Wheeling and housed St. Matthew's Episcopal Church. 176 years later, this structure faces an uncertain future. 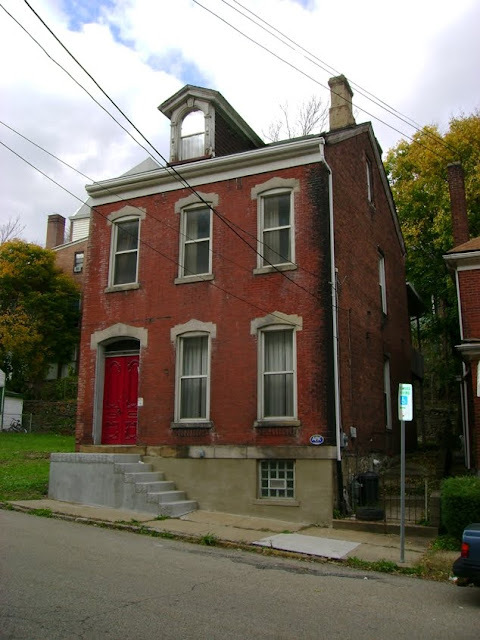 The Ohio Valley Young Preservationists and the Wheeling National Heritage Area Foundation are joining forces to raise the funds to purchase and rehabilitate this structure. If you are interested in learning how you can help or would like to make a tax-deductible donation, please send an email to Liz at ovyp.info@gmail.com. Church of God and Saints, located at 12th and Byron St. in Wheeling, WV. Penn Lincoln Hotel (Wilkinsburg) -- DEMOLISHED -- an abandoned and endangered hotel in central Wilkinsburg. Point Park University has made application to demolish three historic commercial buildings on Forbes Avenue near Wood Street in downtown Pittsburgh. 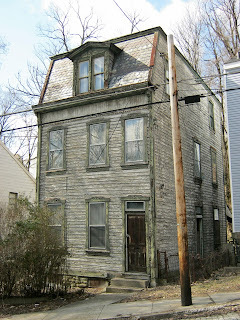 These are contributing structures in a National Register Historic District! UPDATE: Demolished as of February, 2016. Two abandoned, tax delinquent historic homes on the North Side / East Deutschtown. 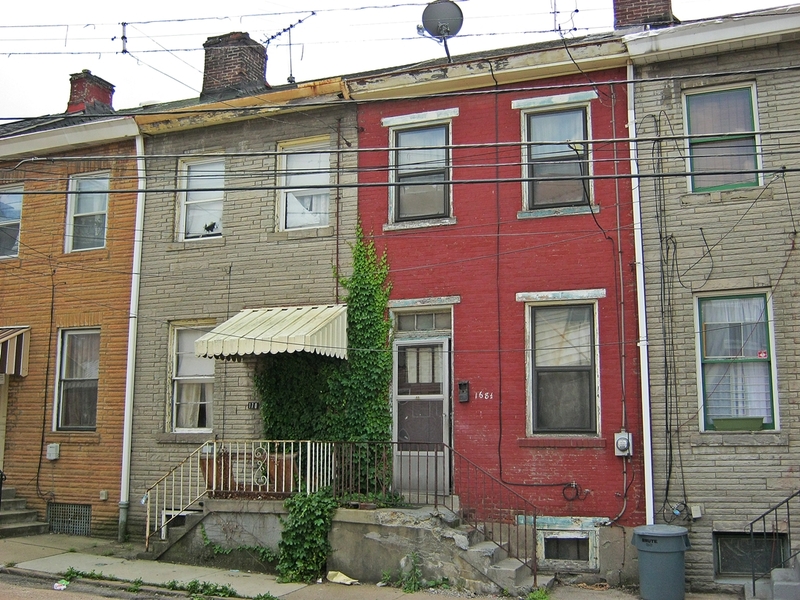 Two circa 1830s row homes on Foreland Street in the Deutschtown Historic District (North Side) are believed to be early canal era Allegheny. 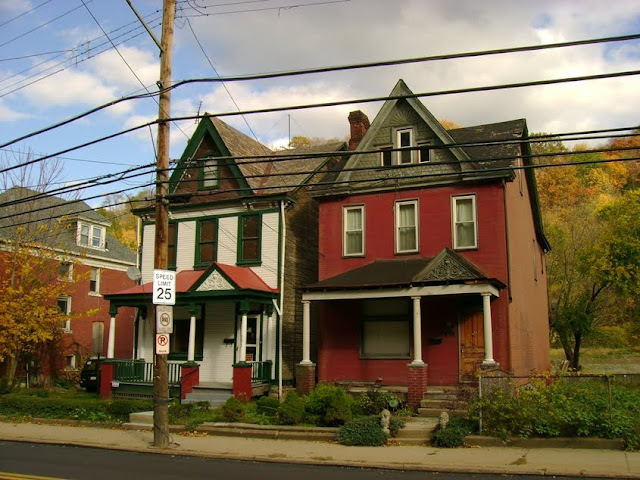 They were threatened with demolition until a preservation-minded buyer purchased them. They are now being restored! 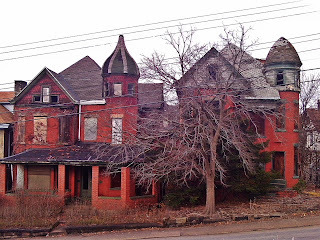 There are numerous abandoned and neglected historic homes in the West End, Elliott, and Esplen neighborhoods. 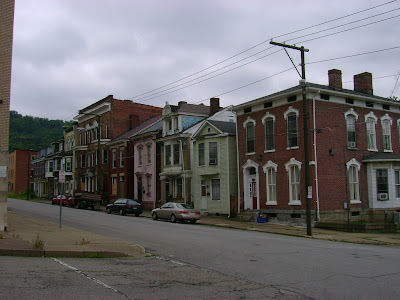 Row of homes on Steuben Street in the West End / Elliott area. 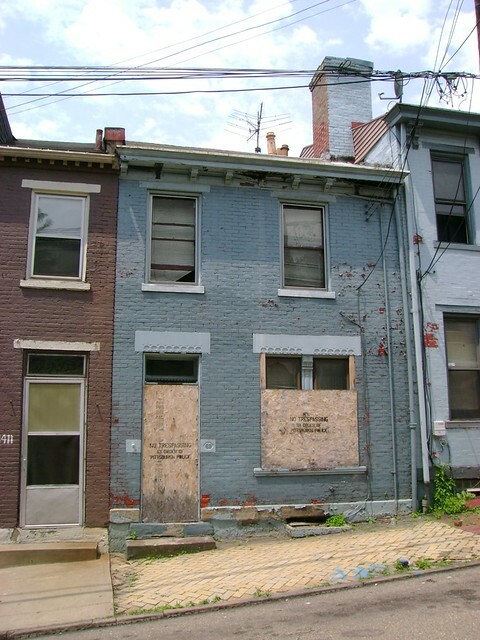 Two appear to be vacant and deteriorating. These appear to be on the the 1872 GM Hopkins map. Corner of Telford and Powell Street, Esplen. 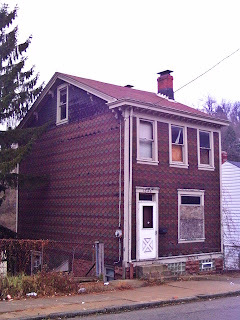 One of few surviving homes in this section of Esplen. Appears to be on the 1896 GM Hopkins map. UPDATE: Demolished as of January, 2016. 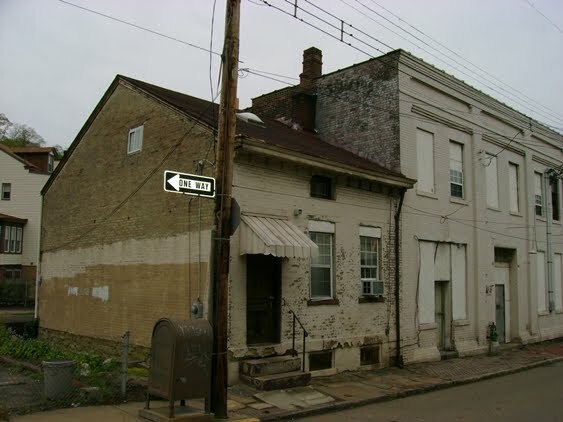 There are many abandoned and endangered historic buildings in the Pittsburgh neighborhood of Manchester, especially along Chateau Street. 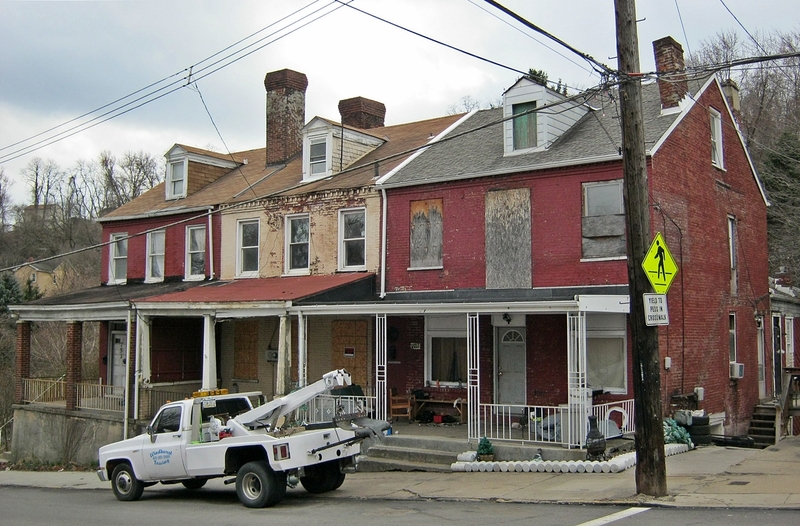 Demolition is a constant threat to buildings in this neglected portion of the historic district. 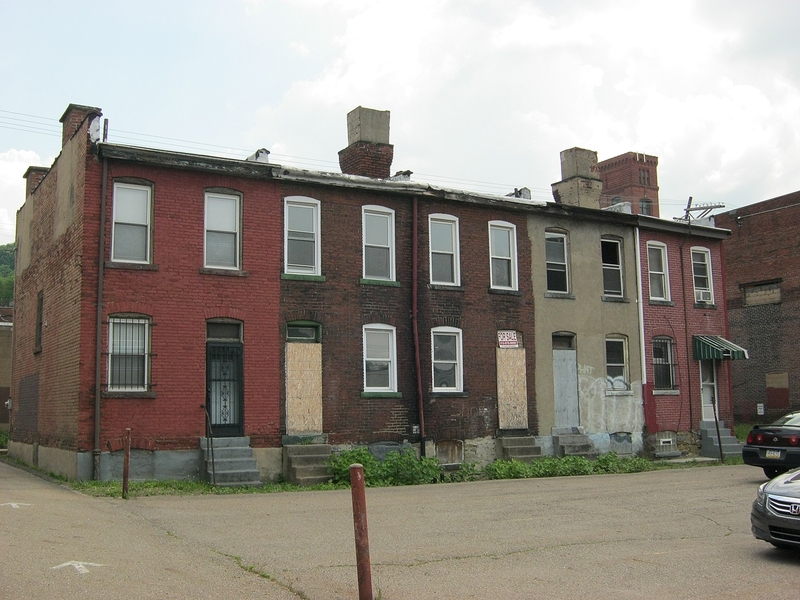 All but one of these homes on Chateau Street were demolished. 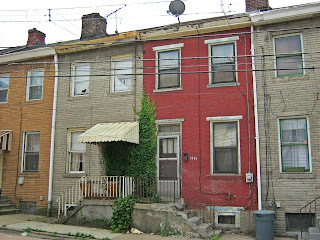 I'm placing the entire neighborhood of Spring Garden on the "endangered" list. One of the oldest surviving neighborhoods in the city, Spring Garden contains a significant number of vacant or neglected Victorian homes, many of which are pre-1872. The cycle of decay and demolition persists at an alarming rate. 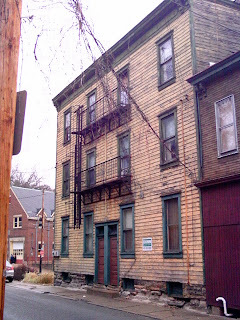 Joseph Doty House (Tarentum): Historic canal house, built circa 1855 by Joseph Doty, at 127 First Avenue in Tarentum, PA. Condemned by Tarentum Boro. UPDATE: The property has been purchased, and the owner is making updates and repairs. Historic hotel in downtown Donora. 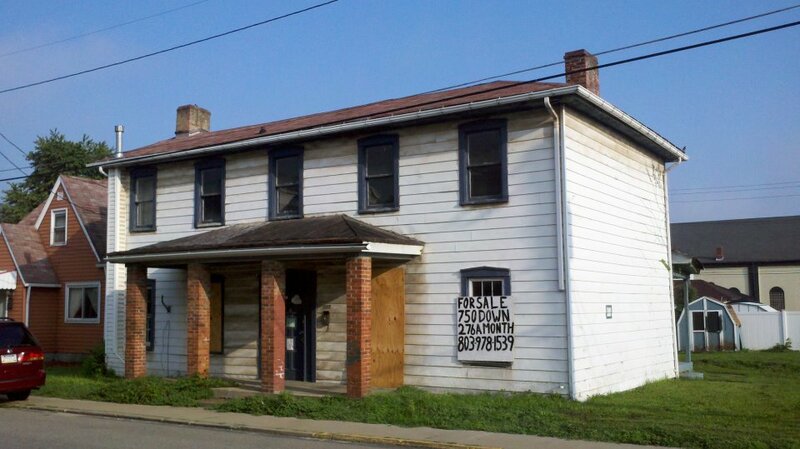 It appears to be vacant and deteriorating. 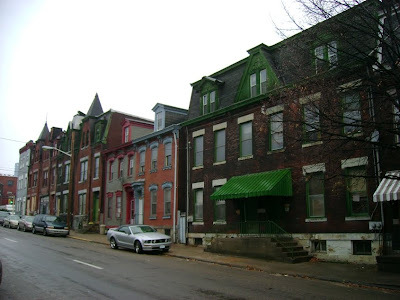 There are few row-houses still standing in the Strip District, which once contained many more. This row of circa 1910 homes appears to be vacant and deteriorating. 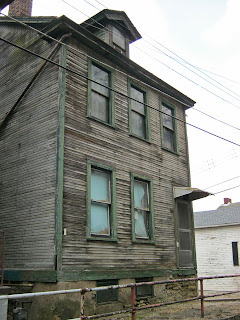 Hopefully, they can be preserved as a reminder of the blue collar heritage of the Strip District. 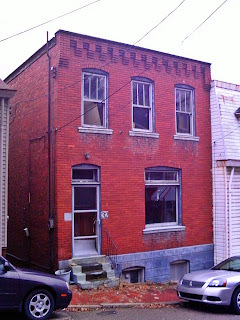 3033-3041 Spring Way, Pittsburgh (Strip District). 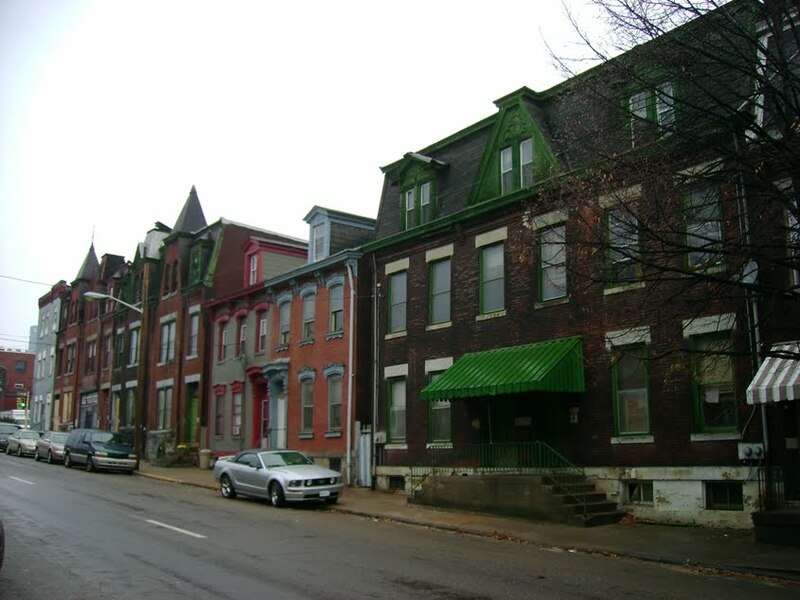 Historic row homes. 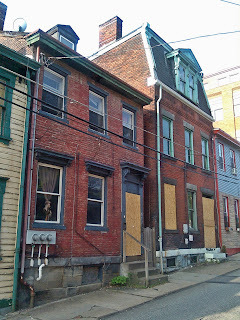 Circa 1850s row-houses listed on the City of Pittsburgh demolition postings for May, 2012. 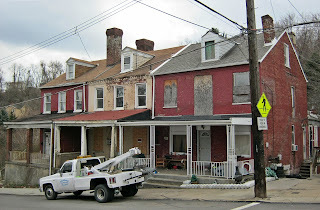 Sadly, these houses were demolished by the city in June, 2012. 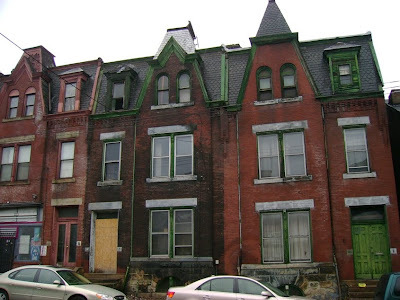 When will the city stop putting historically significant buildings on their demolition lists, and instead market them to potential buyers and rehabbers? 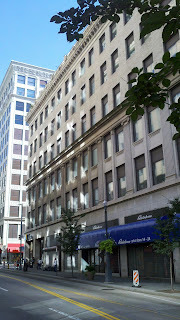 Historic office building / department store located in downtown Pittsburgh at the corner of Smithfield and 5th Ave. Plans from Oxford Development called for demolishing this building for a new office tower. 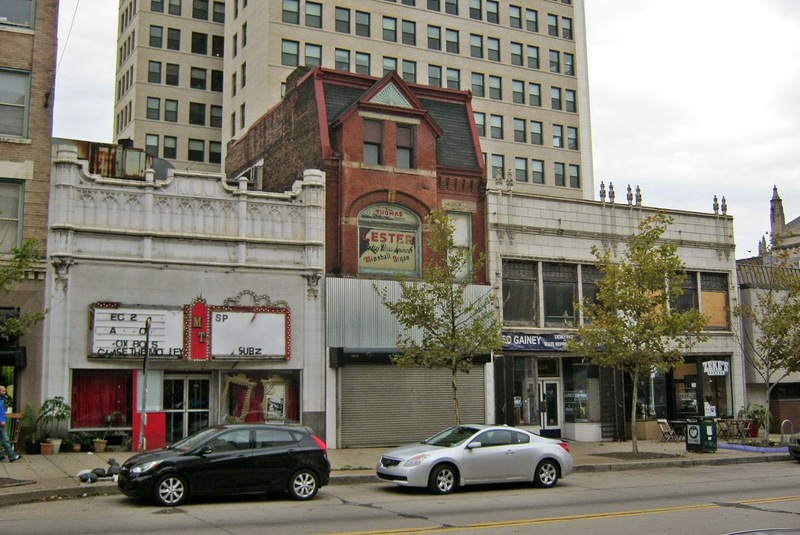 These plans were cancelled and the building was sold to a new developer with plans to preserve it. Decaying Victorian commercial / apartment building and adjacent row-house located at Voeghtly and E. Lacock Street in the city of Pittsburgh. 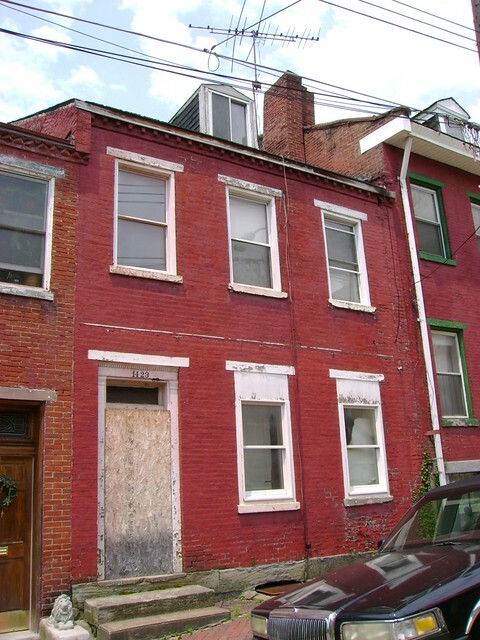 This property is owned by the Urban Redevelopment Authority. 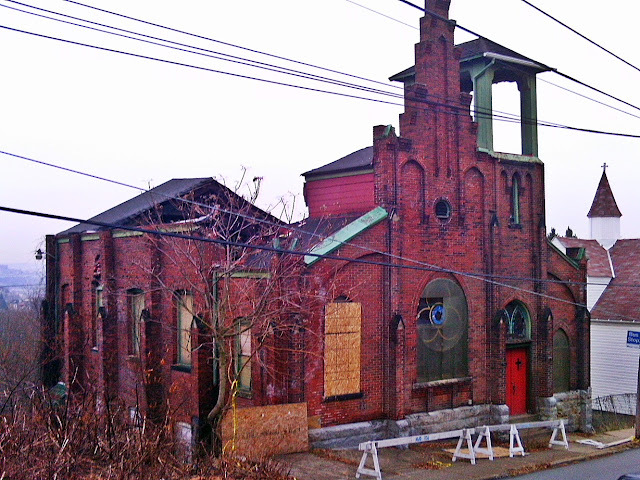 "Demolition by neglect" would be an apt description of the scenario which faces this historic church, circa 1902, in Spring Hill. The current owner purchased the property in 2009 for $35,000 from the last few remaining members of the German United Evangelical Independent Congregation. The roof had a leak at that time, but the interior and structure were very intact. In only two years since the sale, because the owner failed to do any kind of maintenance, the water penetration caused the roof to fall in. Many stained glass windows are still intact. Click here to see what the interior of the church looked like in 2008. The residential block between N. Craig and N. Dithridge, facing Centre Avenue. Demolished for a condo development. 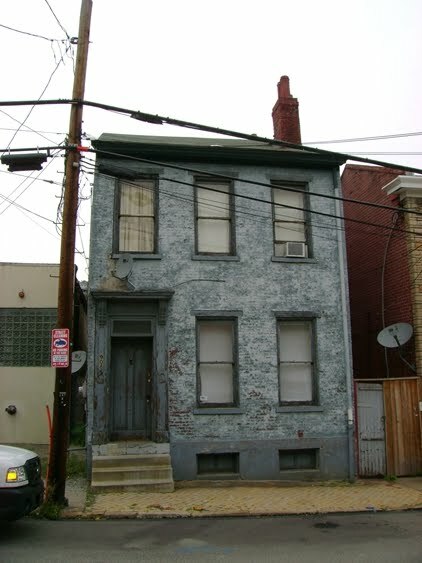 Pictured below is one of the homes on this block, 4504 Centre Ave. 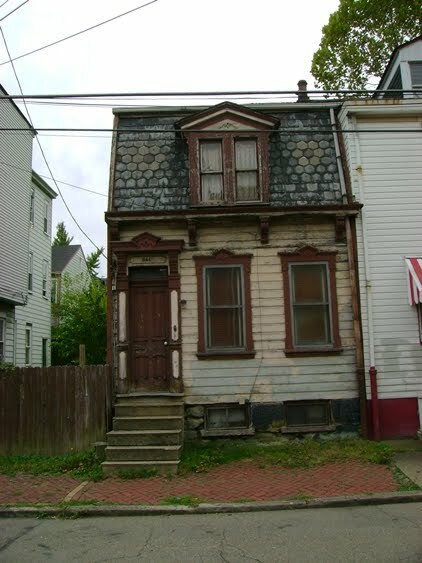 Many readers of my blog are familiar with this small Victorian home at 841 Suismon Street, in Pittsburgh's Deutschtown neighborhood. 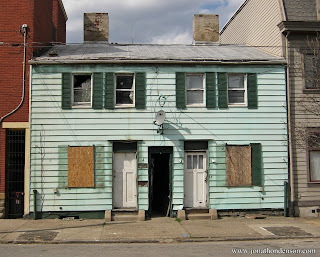 I have documentated the deteriorating conditions of this vacant and neglected property since 2010. 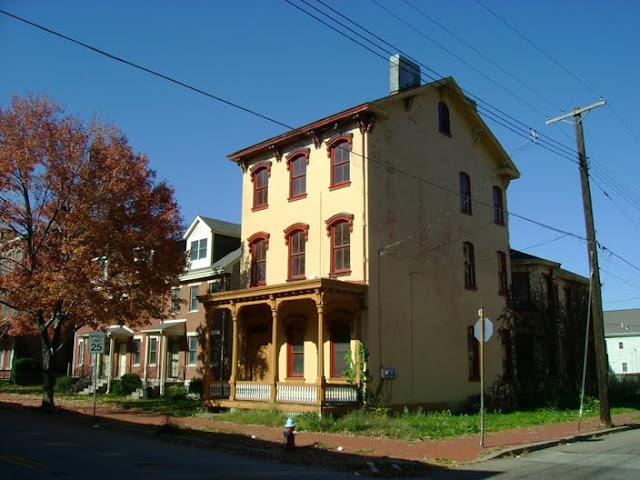 Sadly, like many other historically significant but neglected properties in the Pittsburgh region, it was demolished as of June 22, 2013. A large section of the East Wheeling Historic District is threatened with eminent domain and demolition. 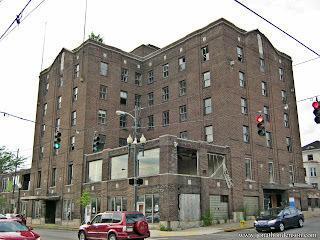 Click here for more information and pictures of the buildings to be razed. Section of East Wheeling Historic District to be razed. 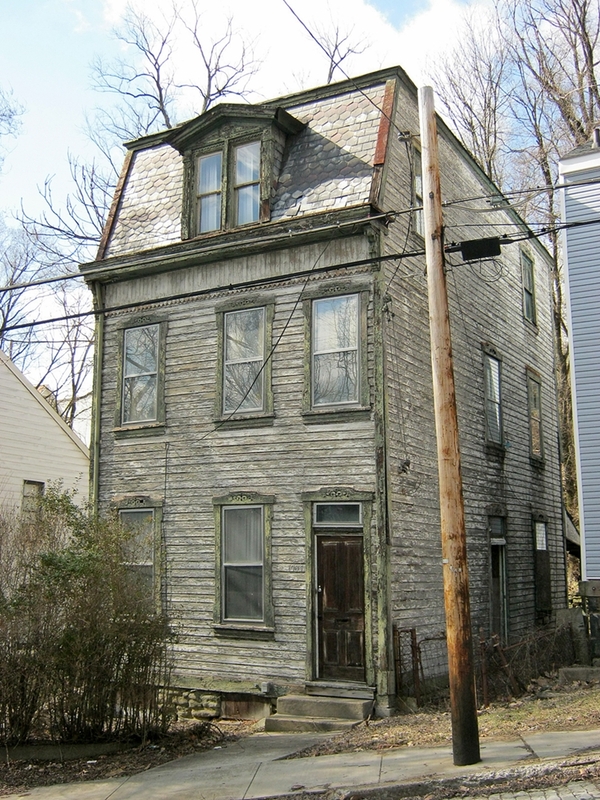 This abandoned, tax-delinquent property could be a charming home. 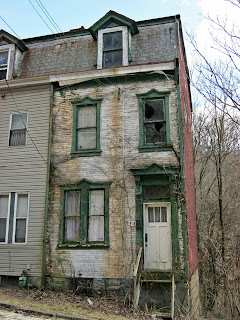 An abandoned, tax delinquent property. It was purchased by a Las Vegas real estate company in 2007, shortly before the housing crisis. Exterior is in good condition, but interior needs major work. A pair of proud, crumbling Victorian mansions still stand near the corner of Shaw and Lincoln in McKeesport. 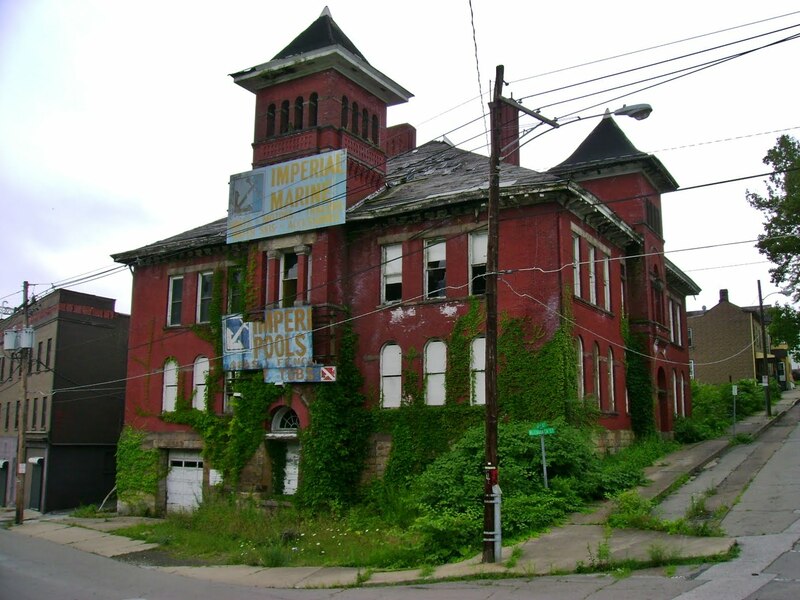 Will someone restore these fading symbols of McKeesport's glory days before they are torn down? 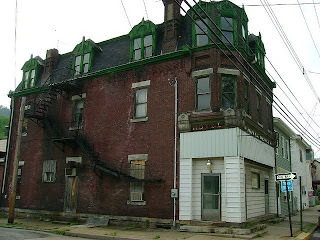 A once grand Victorian mansion stands (now demolished as of 2014) at 626 Market Street in McKeesport. It is owned by the City of McKeesport, who have threatened to demolish it. 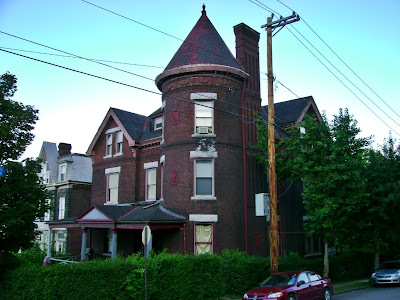 This was the Dr. Henry Hitzrot House, built in 1892, and designed by noted Pittsburgh architect Frederick Sauer. Read more here. 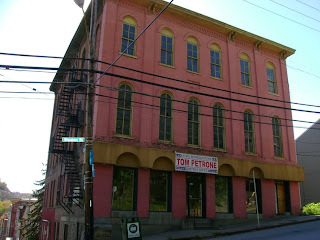 The Penn-McKee Hotel was once McKeesport's leading hotel. It is now vacant. It stands near Fifth and Strawberry in downtown McKeesport. 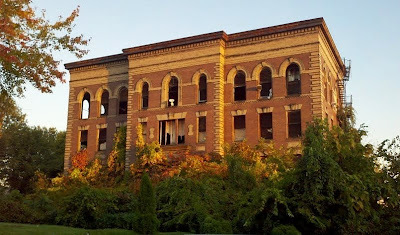 This former school is now abandoned. 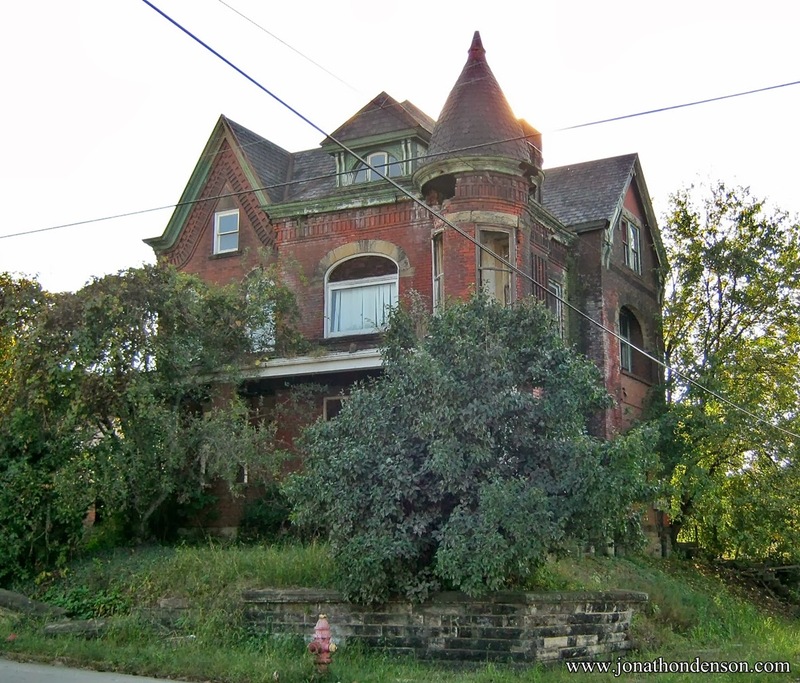 It rises above the highway from the East Wheeling neighborhood. 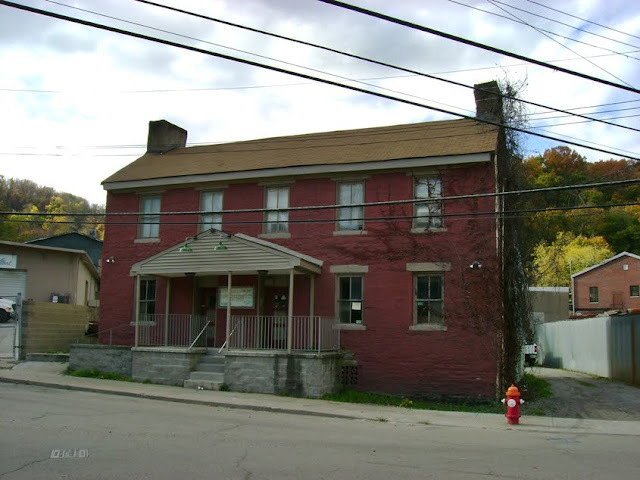 Address: 1401 McColloch St., Wheeling, WV. Former Homestead Municipal Building, circa 1905. Vacant since 1987. 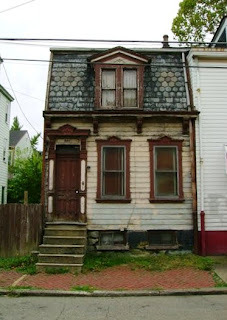 Located at the corner of 9th and Amity St. 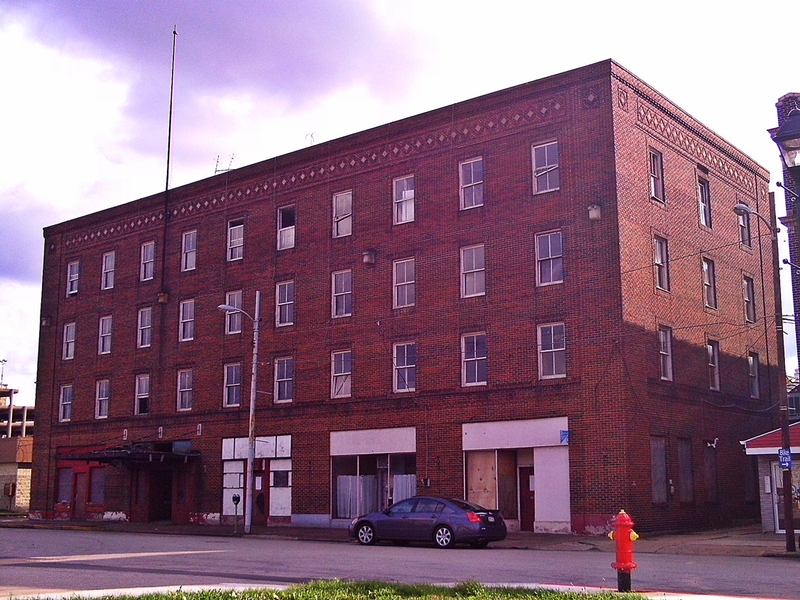 The stately old Lamar Building stands near the intersection of Fifth Avenue and Maurice Street. 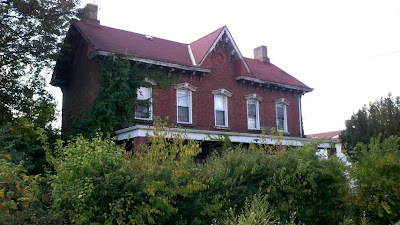 New residential development plans may call for this building to be demolished, but hopefully it can be preserved. It seems ideal for a loft/apartment conversion. 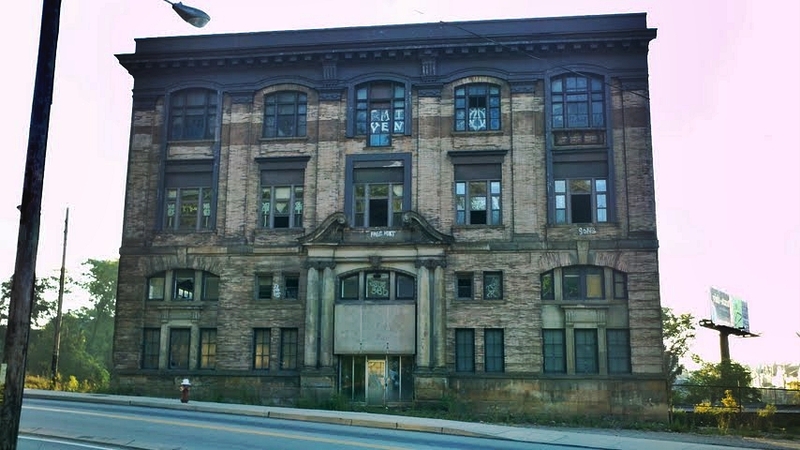 The remains of the former Saint Peter and Paul School of East Liberty stands just off of Enright Court, proud and dignified even as it crumbles into dust. 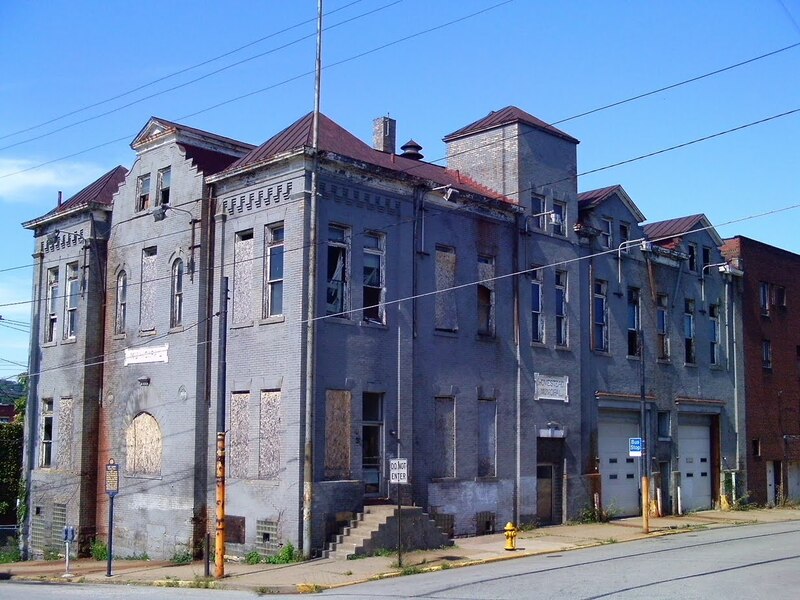 With the continued revitalization of the East Liberty neighborhood, the future of this beautiful building might not be hopeless. 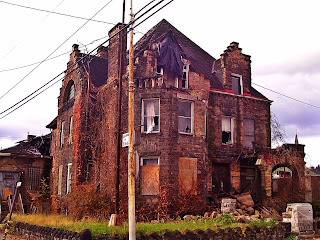 Somehow, this block of breathtaking, ravaged Victorian architecture symbolizes all of the faded glory and grandeur of the Steel City. 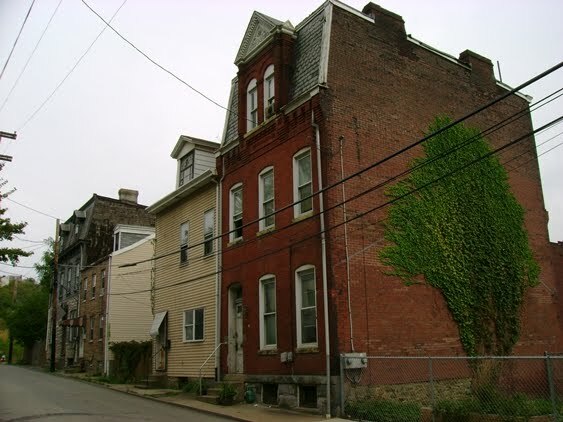 All of Pittsburgh's 19th century vernacular architecture is represented here -- from the mansard-roofed Italianate row-house to the stone neighborhood church. The saddest thing is that most of the houses on this block are utterly abandoned and waiting for the bulldozer. 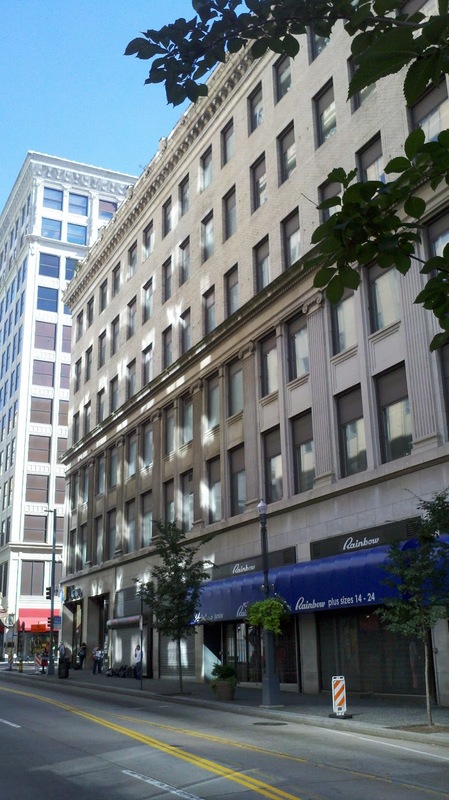 Recent investments in the Bluff neighborhood, which is home to Duquesne University and adjacent to downtown and Oakland, have been the Console Energy Arena, several apartment buildings, and the conversion of the old Fifth Avenue School into upscale lofts. These great buildings should be next on the list. 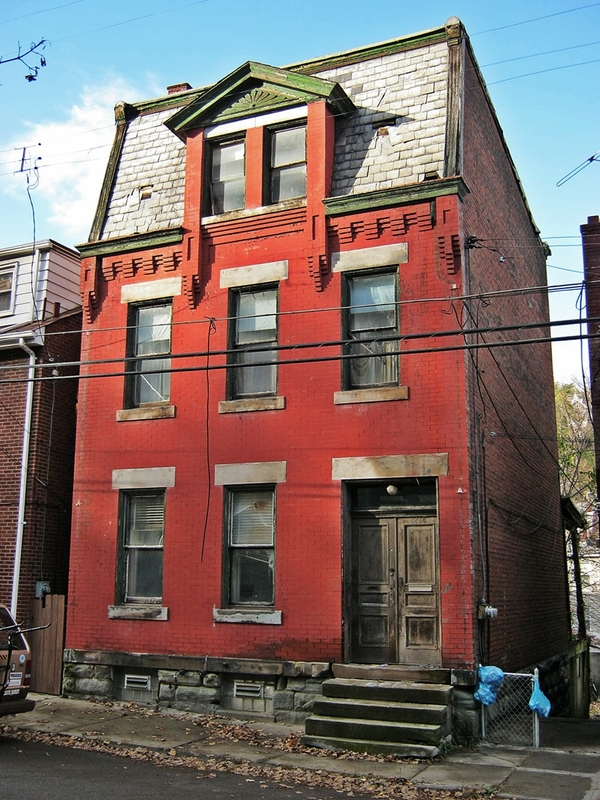 This faded Victorian is abandoned and has been tax delinquent for years, making it eligible for the Allegheny County Vacant Property Recovery Program. Be the one to restore this jewel in the rough! 1817 Fifth Avenue is a Victorian home located in the Bluff neighborhood of Pittsburgh. 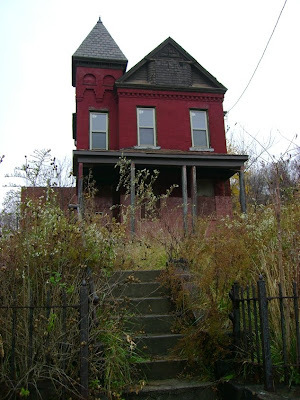 Abandoned, like much of the neighborhood, it awaits an uncertain future. The Bluff is quickly becoming the next urban prairie in Pittsburgh. Hopefully, this great building can survive. 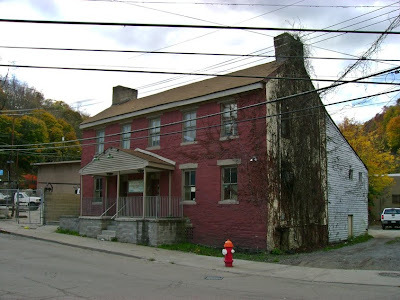 The Old Stone Tavern, located at the intersection of Woodville Avenue and Greentree Rd. in the West End, is the second oldest building still standing in Pittsburgh. 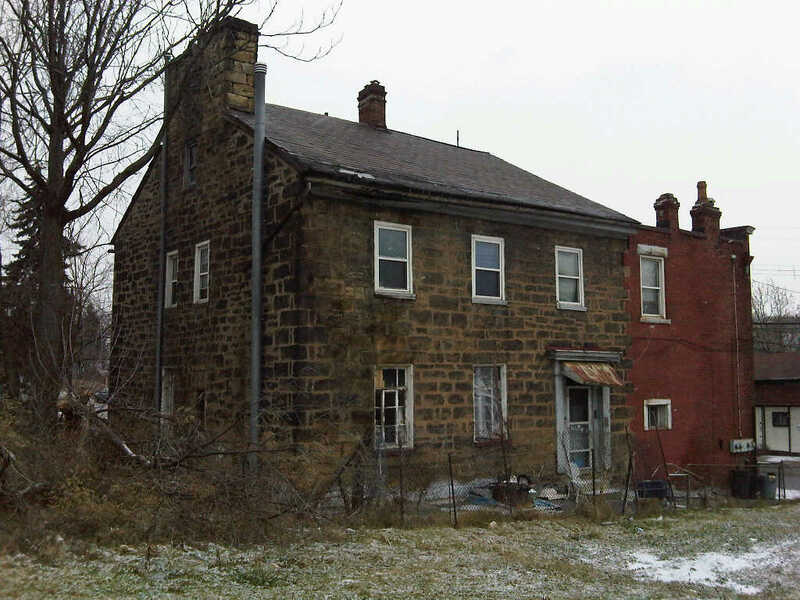 It dates from the 18th century and only the Fort Pitt Blockhouse is older. The Old Stone Tavern was made a city historic landmark, narrowly saving it from demolition, for now.. The Odd Fellows Hall - SAVED, at the corner of Steuben and Wabash St. in West End Village, was built during the Civil War, in 1865, and is a fantastic piece of urban architecture. Lately, work has been completed on this long vacant building, which suggests that it should be around for a while longer! 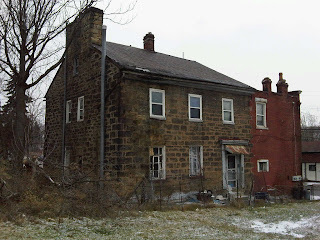 Old Stone Home in Beltzhoover - corner of Climax and Curtin Avenue, city of Pittsburgh. Possibly the Melchor Beltzhoover house, circa 18th century? See more photographs here. 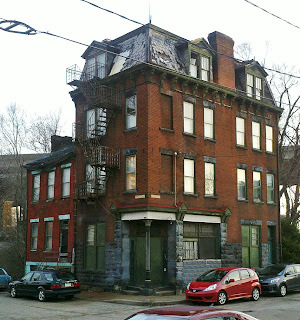 This four-story Victorian office building (SAVED) is located at the corner of Penn Avenue and 32nd Street in the Strip District. It is abandoned, but sits in a prime location awaiting potential adaptive re-use. Older buildings developed into condos and upscale apartments have been successful in this thriving urban/industrial neighborhood. Update: this building is being restored. 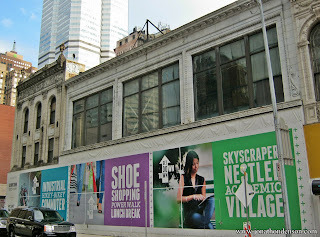 This handsome, six-story office building is located near the corner of 1st Avenue and Market Street, in the Wharf Historic District of Downtown Pittsburgh. Although abandoned, it would make an ideal apartment building, student housing, offices, condo development, or boutique hotel. 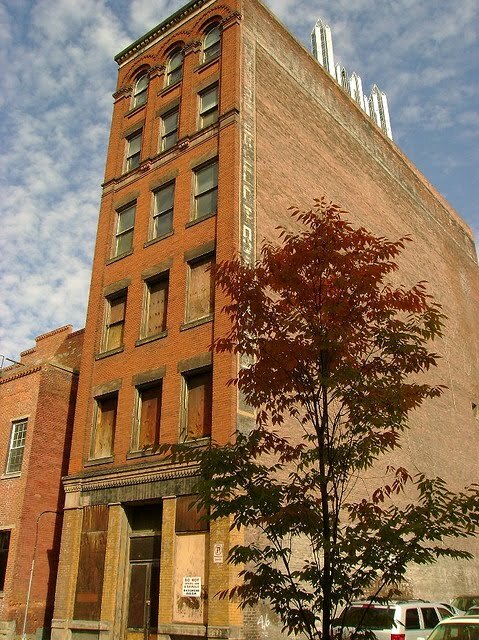 Downtown has very few abandoned buildings left for development, and this is full of historic character. 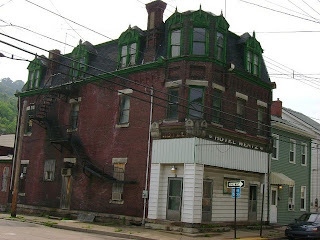 The "Wentz Hotel" is a 19th century Victorian hotel located at the corner of Evergreen and John St. in Millvale. It does not appear to be currently in use. 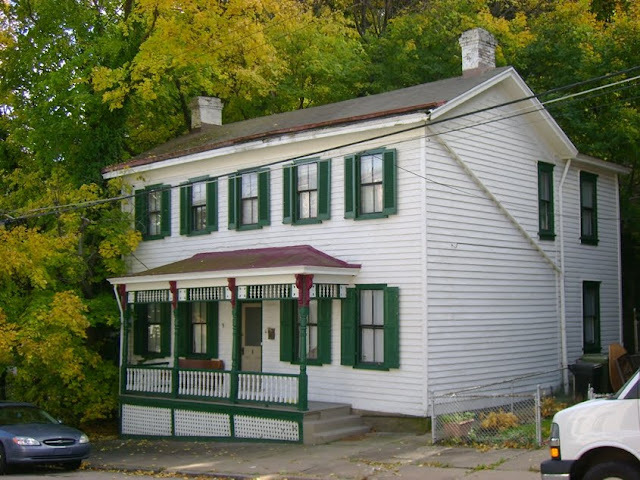 It is a beautiful example of a historic rooming house.